Shark Knitting Pattern. Knit Your Own Jaws. PDF Download. 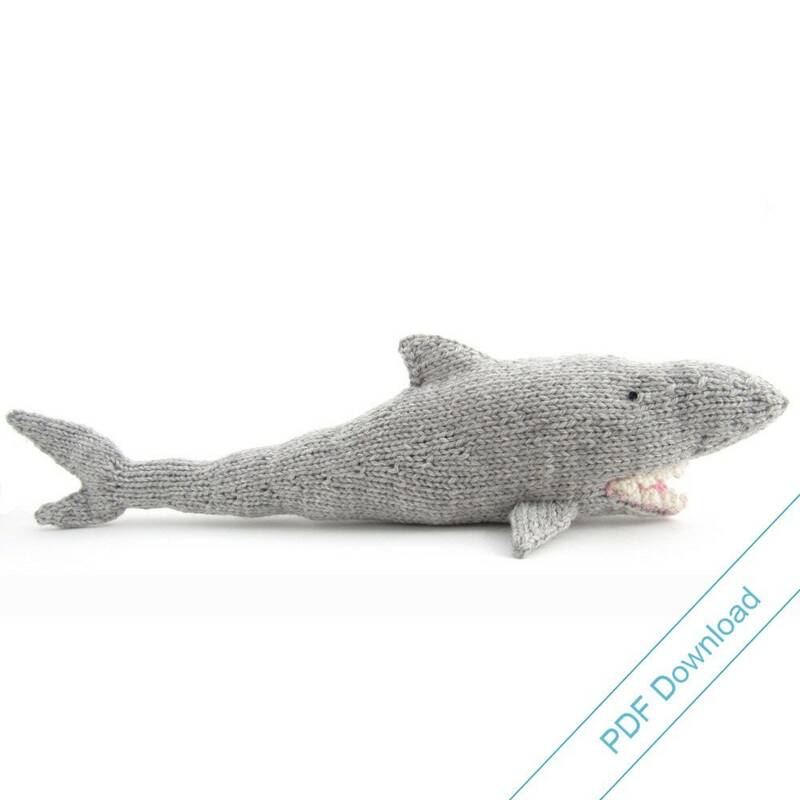 Knit your own plush toy shark from this PDF knitting pattern of my original design. He's a knitted marvel, even his pointy teeth are knitted. And with only two short seams he's a perfect project for the knitter who doesn't like to sew. This pattern was created for my 4 year old. "Mom, can you knit me a shark?" Who can resist a design brief like that? 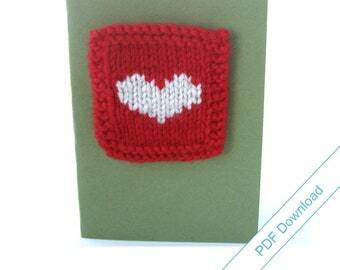 The knitting pattern PDF is available for immediate download from Etsy, following your purchase. 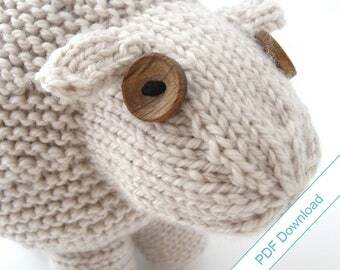 Knit Pattern PDF Download. Rabbit. 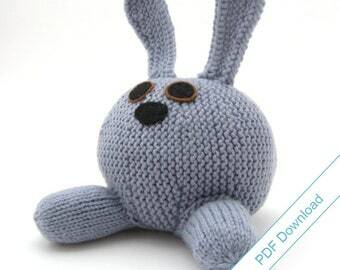 Knit Your Own Bunny. 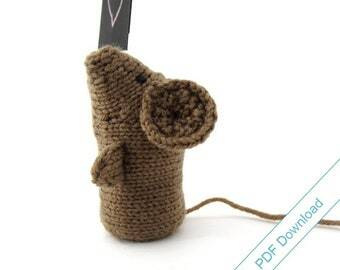 Toy Knitting Pattern. 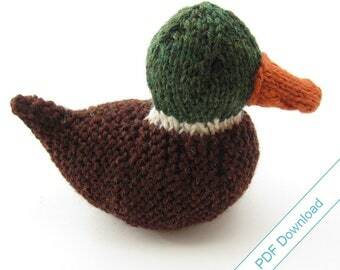 Knit Your Own Mallard Duck. Digital Download. 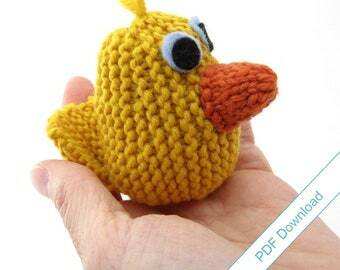 Knitting Pattern PDF. 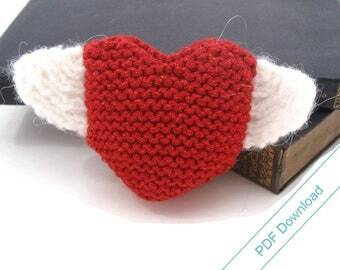 Heart With Wings. Instant Download. 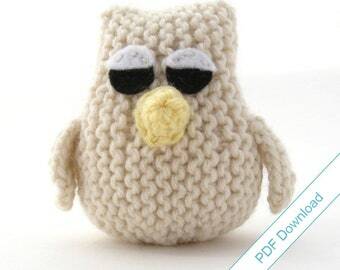 Owl Knitting Pattern PDF Download. 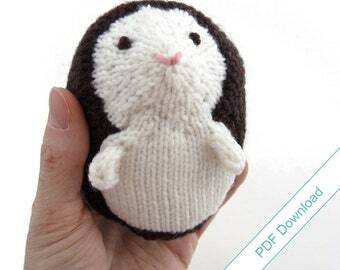 Knit Your Own Owlet. Spider Knitting Pattern PDF. 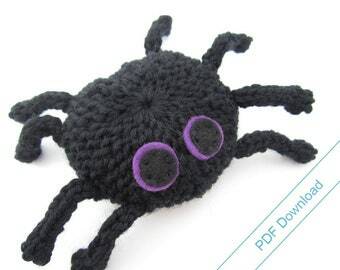 Knit Your Own Toy Spider. 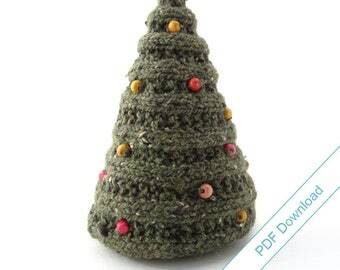 Christmas Tree Knitting Pattern PDF. Knit Your Own Tree. Lovely real shark shape. Had a little difficulty with tail, mostly due to the clumsiness of old age, but managed it eventually. I accept Paypal. Payment must be submitted in full within 72 hours of purchase. Orders not paid for within this time will be canceled. I will also accept a check or money order in US Dollars only. 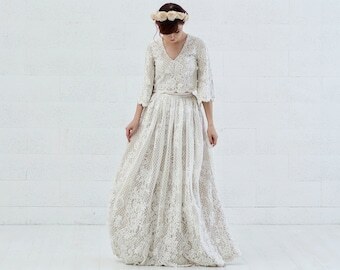 I will wait one week to receive payment from you. Orders not paid for within this time will be canceled. I will wait until the payment has cleared before sending you the item. Please bear in mind that hand made goods will always be unique and occasionally imperfect. I have made every effort to fully describe the items for sale to avoid disappointment. Refunds will be made if you are dissatisfied with your purchase. Refunds are also accepted in the case of uninsured goods damaged in transit. In either case the buyer is responsible for the cost of shipping the goods back to Natty Knits before a refund will be made. Please contact me if you are not satisfied with your purchase. Natty Knits is a new business which needs happy customers. Consumer Product Safety Improvement Act (CPSIA) compliance statement. The guidance statement issued by the CPSC on Feb 10th 2009 states that “yarn, dyed or undyed” and “dyed or undyed textiles” are components which “can be used (separately or in combination) and sold (provided they have not been treated or altered or undergone any processing that could result in the addition of lead)”. It also states that until some reliable way to test the levels of phthalates in plastics it is best to avoid plastic buttons unless “you know they don't contain phthalates”. As I know nothing about petrochemical processes I have therefore decided to abstain from the use of plastic buttons in my products until further information is available. For the full statement, please see http://www.cpsc.gov/about/cpsia/smbus/sbguide.pdf . Thank you. 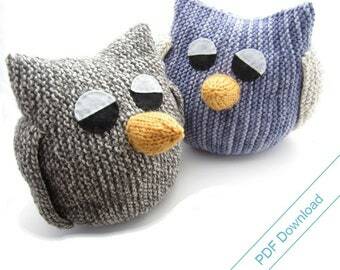 Little Bird Knitting Pattern PDF. Instant Download. 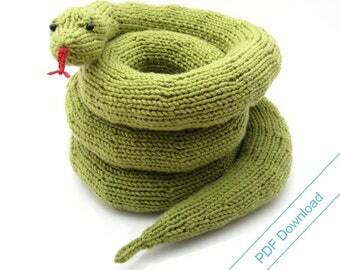 Knitting Pattern PDF. Toy Sheep. Knit Your Own Flock. Pumpkin Head Knitting Pattern (Large). 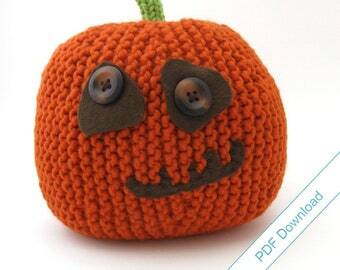 Knit Your Own Jackolantern. PDF Download. 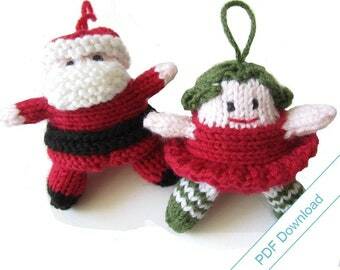 PDF Download Knitting Pattern for Santa and Christmas Fairy.